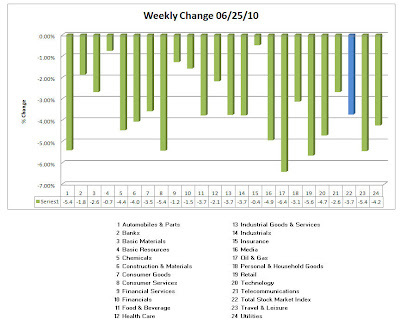 I have something wondrous to share with you: Weekly Sector Charts with a twist! I was up early this morning, and I had a thought noodling in my head. I was interested in what the short interest was for the various subsectors. I decided that I wanted to create (for you and me!) a sorted list on that. For that I went to FINVIZ. I calculated the number of short shares (% of float short x float). I then multiplied that by the share price to come up with the market value of the float that was short. The table that I prepared had % of market cap short and % of shares short. I've a new/fast computer, and this process taxed the resources. I've included the report within my sector report. I hope that you will download the full report. You will not be sorry, and I guarantee that you will see some things that will surprise you! 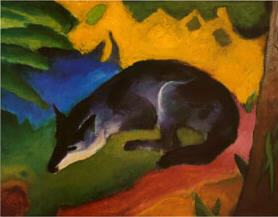 It is in PDF, and it is very easy to read. You can find it here. (All charts herein are included). Let's take a look at the Weekly Sector Graph. You do not have to adjust your screen. 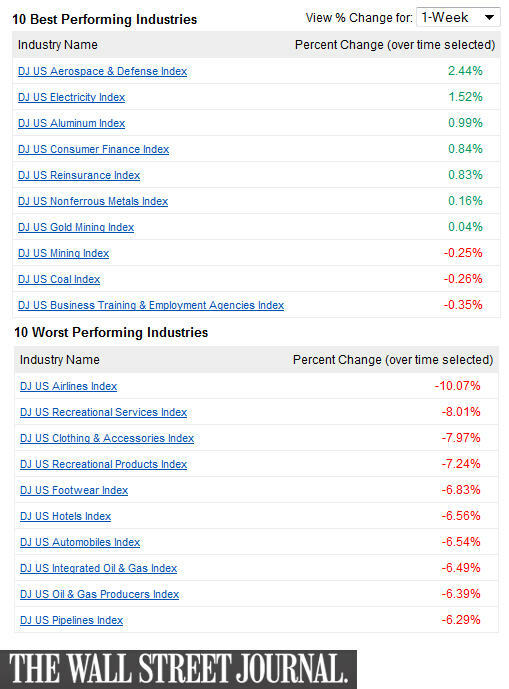 The 24 sectors are all negative. 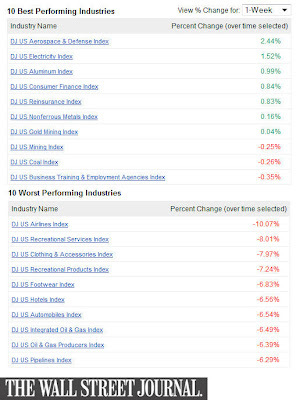 Only 5 of the subsectors were positive. The broad market index was down 3.7%. As usual, individual sector mileage varied, which is why I put these together. Now let's drill down and look at the subsector 10 best/worst performers. I wish you happy trading next week. I'm reading: Weekly Sector Update | 06/25/10 (by Leisa) $$Tweet this!